This course is a distance education program conferring a bachelor’s degree in the field of plastics engineering on students. 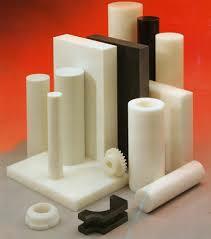 Plastics engineering is the study of the behavior of the material plastic. It is used in the industry in the field of materials. Everything that we use is made of plastic. Therefore graduates in this field are in high demand. This is an industry where talented, knowledgeable, well-trained plastics engineers are in high demand. This is an industry that has worldwide impact-both now and in future. Graduates from this field can pursue a job in the manufacturing sector to deal with the design, development and manufacture of plastic products. This course imparts the basic knowledge about the behavior of plastics under various conditions. NIMT - Neptune Institute of Management and Technology offer BE - Bachelor Program in Plastic Engineering through Distance Education mode.